Numbers of mule deer and elk taken by hunters on a portion of the Rocky Mountain Front are slightly above the long-term average through the second weekend of Montana’s 2017 general big game season, a Fish, Wildlife and Parks wildlife biologist said. The 2017 numbers are also up for mule deer, Lonner said. For white-tailed deer, however, the number of animals brought to FWP’s Augusta check station is down slightly. 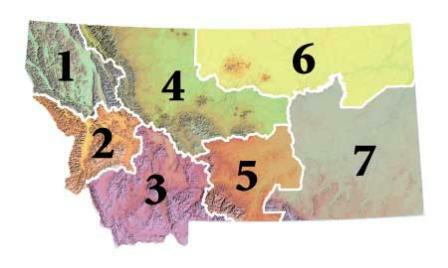 The numbers at the Augusta check station – FWP Region 4’s sole biological check station – apply only to a handful of hunting districts on the Rocky Mountain Front. Elk hunters so far have brought in 65 elk (42 bulls, 21 cows and two calf) compared to the long-term average of 64 elk. Mule deer at the check station have numbered 53 (46 bucks and seven does). The long-term average is 48 animals. With whitetails, this year’s count in Augusta stands at 43 (22 bucks, 16 does and five fawns), while the 10-year average is 45. So far 732 hunters have stopped at the Augusta station, which is about four percent below average. The general deer and elk season runs through Nov. 26.